I only had time for a quick visit this weekend – I’ve a couple of fairly hellish weeks at work before I have a break – though that will be for 3 weeks and I really can’t wait. My little Livingstone rhubarb arrived this week. It is titchy! Now tucked up in a tomato bucket and sitting outside the shed door till spring. 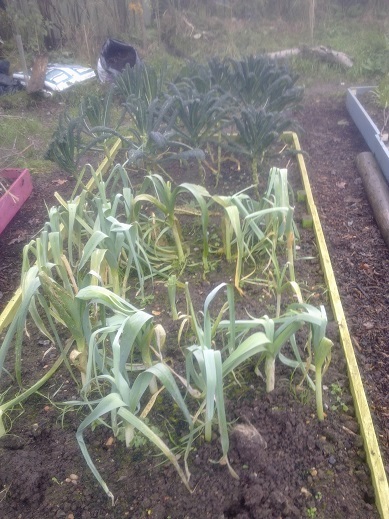 I’m not sure how hardy my leeks are. Each frost sees them looking very woebegone. 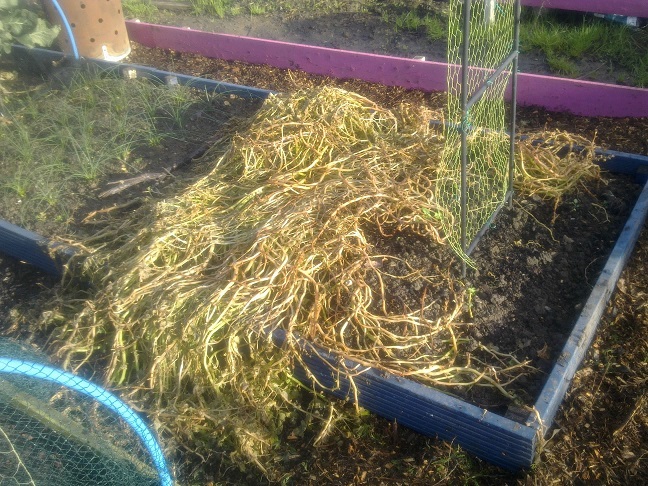 The kale has been really attacked by tiny little slugs, so, with the cold now here and hopefully leek miner/moth being less of a threat I’ve taken the mesh off. We’ll see what happens. It was a chance to weed and break up the surface of the soil with a cultivator – it had got a little set and mossy, as well as weedy. 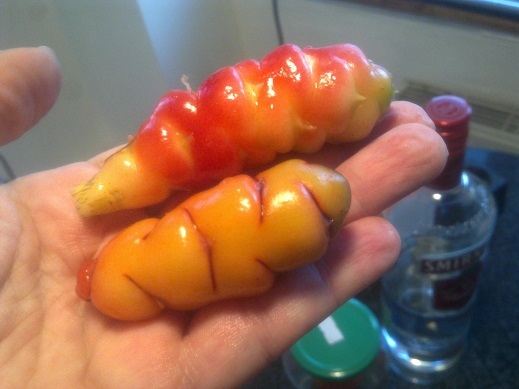 Saturday’s frost has finally killed off the oca and I’m looking forward to taking it up in a couple of weeks. 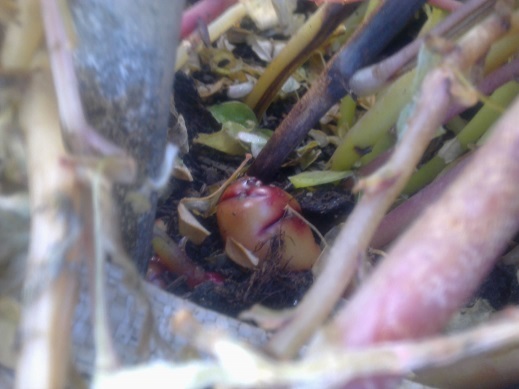 With what I could take today I have big hopes for what lies beneath…I took home the little surface tubers from the stems and those that were poking through the surface. There’s heavy frost predicted this week. The ones just under the surface are a really good size – the bigger ones have more of a floury consistency and the little ones are much more intense in flavour. This is from crunching them raw. I’ll cook some tonight to see what they taste like. The path is thankfully less squidgy. A week of not walking on it has helped and I think the woodchip has absorbed a lot of the wet. Fantastic, glorious sunshine – and a new path!